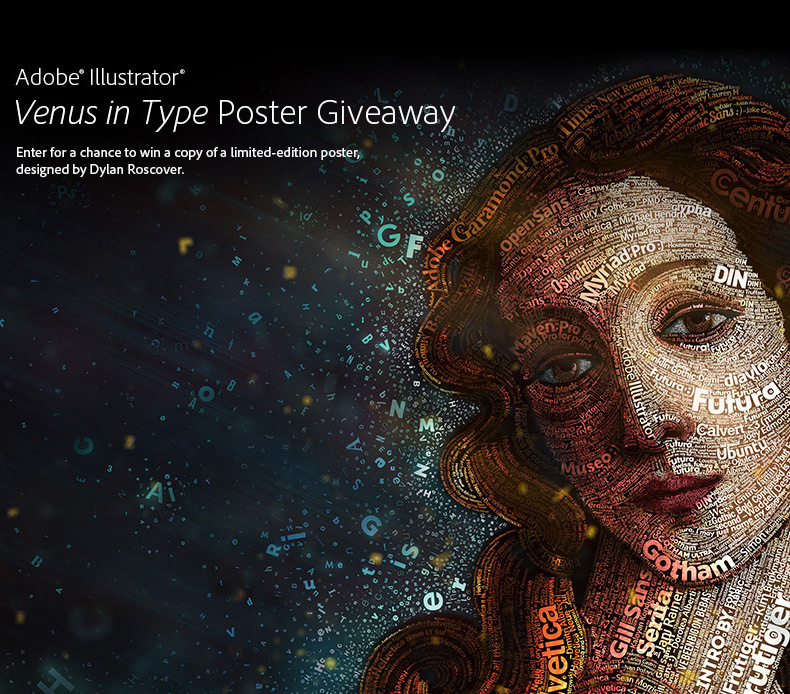 Adobe, specifically Adobe Illustrator on Facebook is giving away posters of the iconic “Venus” that has symbolized the product since 1988. The poster features Venus rendered out of type, and was designed by Dylan Roscover. The only catch, and one that a lot of people won’t like, you have to “Like” it on Facebook to enter. Since that is something I refuse to do, I guess I’m out of the running. Other Adobe Illustrator fans toss your hat in the ring here. Posted in Design and Art, Typography and tagged Adobe, Adobe Illustrator, Dylan Roscover, Facebook, Social Media, Type, Typography, Venus on April 24, 2013 by Author. ← Light it Up With Astrofire.